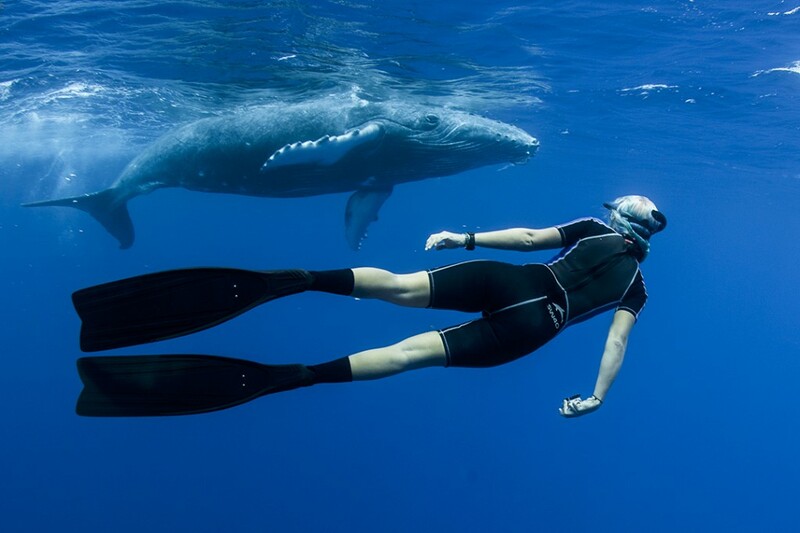 We experienced some unique behaviour with this female Humpback last season and I managed to capture an interesting perspective showing the enormous tail and body above and below the surface. 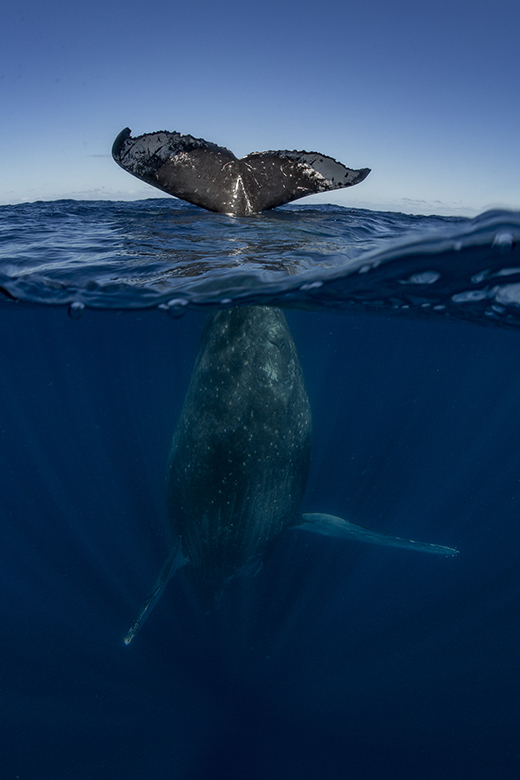 This image was awarded at the Asferico International Nature awards in the underwater category in 2018. 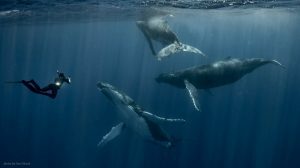 We can learn so much from documenting unique behaviour from these majestic mammals. check out some of the talented photographers and their inspiring works of nature at the Asferico awards. We are now offering Day trips for people visiting us in Tonga for only a short period of time. 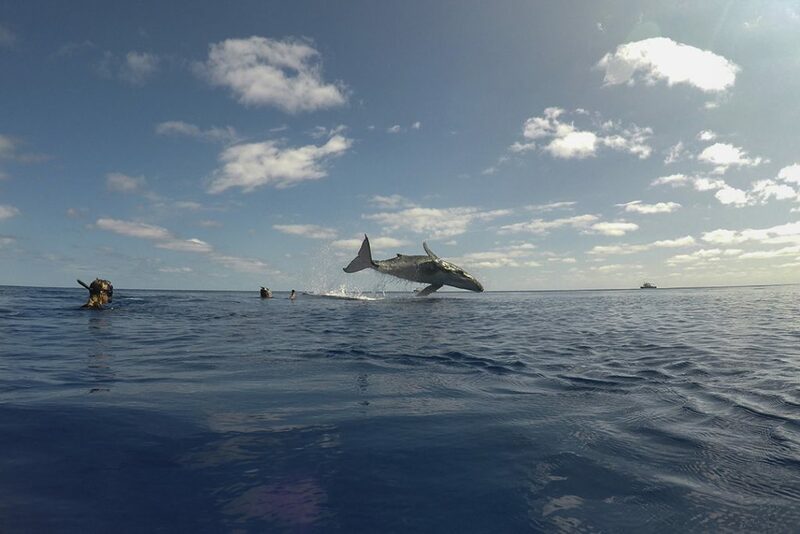 The tours usually include 6 – 8 People and the team will take you out for a day whale watching, snorkeling including snorkeling, lunch and swimming with whales. to find out more fill in our enquiry form and we will get back to you with more details.